PCNSW Member coming to observe dyno runs in their Porsche. Guest invited as passenger of the car. PR Technology are kindly donating their facilities at Brookvale and running a dyno day free of charge for PCNSW members who donate to the Club’s nominated charity for 2014 to raise money for Cystic Fibrosis Research. The day will be limited to about 20 dyno runs and the allocation of run is dependent on the size of your donation, and the order in which you register online via the PCNSW events booking system. 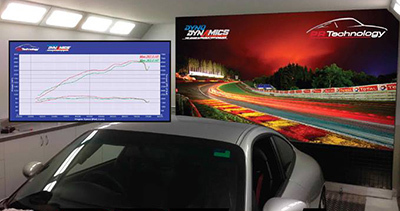 Those members not wishing to run their Porsches on the dyno but would like to come and join in and observe the dyno runs, will also need to register and make a donation of $20. All registrants will be hosted to coffee and a BBQ provided by Cavallino Ristorante. Spaces are limited to 50 people including the 20 for dyno runs, so be quick to register.